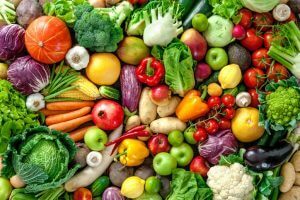 As a result of our health consciousness and growing desire for longevity, many people prefer to grow their vegetables and fruits in their own backyard garden or condo space. In some urban supermarkets, rural street stalls, and vegan online stores, you’ll find a wide variety of seeds and seedlings such as tomatoes, lettuces, onions, radishes, kale, and many more. Please allow me to introduce some of the best ways to select homegrown crops that even beginners could go along with the best home garden plants you could purchase online. All prices are affordable which make it easier for you to buy as much as you require. We hope this guide could help you. Some people decide to hire an expert gardener to make the necessary arrangements for their garden. But even as a beginner, there are ways for you to start gardening without paying a specialist to do the job. It would be wise to note that almost every vegetable and flower requires about 6 hours of sunlight. It’s important to know this because you’ll need to provide a location for these plants to absorb ample sunlight. Therefore, the best location in your residence would be right next to your windows or outside the back door if there aren’t any tall buildings or houses blocking the sun’s rays. If you’re considering to dig for the purpose of loosening the soil and for the roots to penetrate more easily, keep in mind that digging soil that is too wet or too dry could ruin its structure. Make sure that the soil has balanced levels of moisture and dryness. Please keep in mind that the soil is supposed to have 25% of water and 25% of air to keep the balance of moisture and dryness. To test its level of balance, pick up a small amount of soil. Make sure that the soil feels loose enough to fall apart when pressed. Seeds are like human babies. They have tons of needs which require full attention all the time. They have to be watered daily while they are small. But as they grow larger, they require less water. Afterward, the frequency of watering them would depend on your chosen soil and the climate changes in your area. When you notice the plants wilting slightly under intense heat, water them gradually to be sure that both soil and plants fully absorb the water. Some of the basic and most important tools to use would be the hand trowel, pruners, shears, a garden hose or water sprinkler, and some gloves. A hand trowel comes in handy whenever you dig small holes for planting and weeding with its scoop-shaped metal blade. Both pruners and shears are used for cutting. But the main difference between the two is that pruners could cut smaller plants and shrubs while shears were meant to cut long grasses and small hedges. Finally, you’ll need a water hose or water sprinkler to nourish the plants with ample water. While doing the dirty work, wearing gloves could help to protect your hands. From experience, I’m sure you know the hassle of huge time consumption and expensive prices when going to the supermarket or outdoor stalls. Therefore, here are some pointers to keep in mind when purchasing a home garden plant through online stores. Cultivation involves plowing the land for growing crops which takes dedication, time, and labor. But remember that cultivation could be simplified by selecting a crop that is harvested in a short period of time. Your main goal would be to add your crop as the main ingredient or supplementary ingredient of your daily meals. Therefore, it would be best to choose home garden plants that are easy to plant and harvest. Before you decide on the plants you would like to grow at home, make sure to consider the amount of space you currently have in and out of your residence. If you live in a condo unit which has a tight space, planting herbs that are shallow rooted would be highly recommended. The advantage of being able to plant herbs or edible flowers in pots is that you could keep them in the kitchen or display them on a table next to a window or below a painting. You could easily monitor their growth and harvest them when the time is right. If you live in a house with a widespread garden, it would be best to plant deeply rooted crops with a larger distance between seeds. The advantage of it is that you can grow various kinds of plants and harvest them in a large amount. You’ll have to ensure the high possibility of mass producing your chosen crops. Although it’s necessary to consider the length of time it takes to grow them and to harvest them, it’s also important to consider how much you and your family would likely consume. It would be wise to choose a plant that could be propagated in one pot. The seeds could be scattered profusely on the soil inside the pot before you begin to water them thoroughly. In order to become a credible gardener, you may have to consider the type of meals that would be healthy and sumptuous for your family on a regular basis. By knowing them, you’ll be able to maximize the number of plants you’ll be growing and harvesting. All it takes is a bit of imagination and experience. Other than salads, veggies and fruits could help improve the level of sweetness, bitterness, and saltiness of soup, steaks, and noodles. 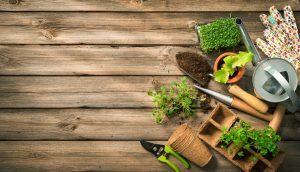 The only way to perfect your gardening craft is to gain a lot of experience. 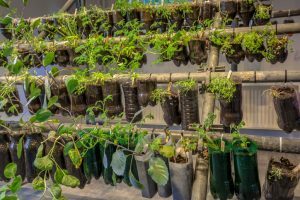 Therefore, don’t hold back and experiment with all kinds of veggies and fruits that you could plant in your own backyard garden or condo unit. Each crop has its own period of growth, space requirements, and other particular needs which have to be fulfilled. By becoming flexible to various needs, you become more skillful as a gardener. Now that we have jotted down some of the most important tips to keep in mind when choosing homegrown crops, we are now going to introduce the top 10 selections for the best home garden plants to buy online. Each item has been selected and carefully ranked according to their purpose, taste, and consumption. 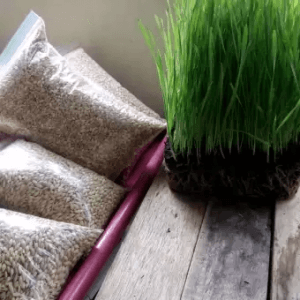 The great thing about wheatgrass seeds is that they reach maturity only in 6 to 10 days where tons of wheatgrass become ready for harvest. Usually, wheatgrass is consumed as a fresh juice. If you drink it on a daily basis, it will give you a benefit of detoxification, which improves your overall health. It can be grown in a small pot, so if you put it on the kitchen shelf, you can watch its growth even when you are cocking. If you are aiming to maintain or improve your health, wheatgrass would be good for you as a beverage if washed properly before juicing. 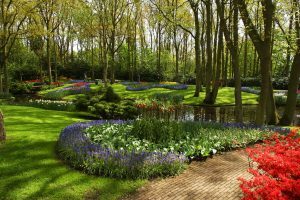 You may think that a flower is grown only for the ornamental purpose in your garden, but it’s not true. You can eat not only the seeds of this sunflower but also all parts from seedlings to leaves and stalks. The leaves and stalks are good for salads and stew. 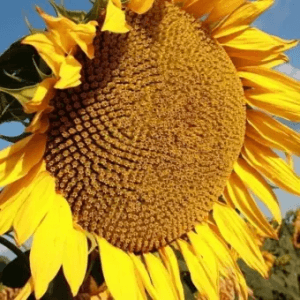 Sunflowers usually sprout within 7 to 10 days in fields and fully mature within 80 to 120 days. You could harvest as many as you want when the petals become dry. If you want a beautiful decoration of flowers in your garden and enjoy tasting them at the same time, this can be an ideal plant for you. Although you might need to monitor mushrooms in dark places where you’ll have to ensure that they are safe against pests like roaches, flies, and other harmful insects, mushrooms would contribute to weight loss, proper liver function, and a strong immune system with the help of a mineral called Selenium. Mushrooms usually grow within 2 to 3 weeks in boxes or cans and could be harvested within 3 to 5 days after the mushrooms have formed. You could harvest as much as you need and use them to add creaminess to most vegetable soup meals. 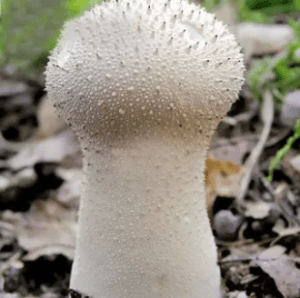 If you don’t like to wait many months to harvest a crop, this mushroom might be a good choice for you. Raspberries are usually seen in commercials together with oat meal and cereal products. They’re also good as jams, pies, and refreshing beverages. This fruit could be highly beneficial for those who have a tendency to be fat because of Rheosmin which is a nutrient that is said to diminish the risk of obesity and fatty liver. The germination process could reach up to 6 weeks in a garden soil. Once the berries ripen in a span of 2 weeks, you could already begin to harvest them. 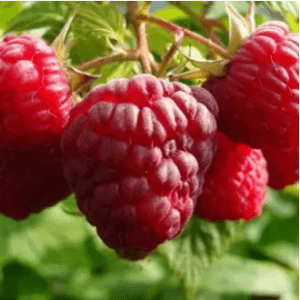 If you’re a parent who teaches kids to eat healthy food, raspberries would be a great choice for you to have in your garden. Eggplant seeds sprout quickly in a garden soil where you could harvest tons of them within a month or two. Although they aren’t as common as tomatoes, you can use it in popular Filipino dishes like tortang talong or fried eggplant which you could dip in soy sauce. 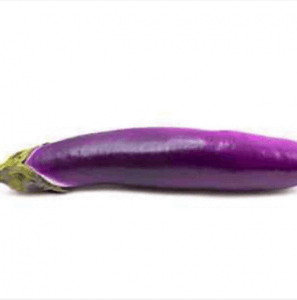 What’s great about eggplants is that they are rich in dietary fiber, which regulates bowel movements. If you’re a gastronome and you eat tons of food, having an eggplant in your garden would be preferable to help you lessen the fat. If you’re worried about bad breath, taking mint is a natural way of getting your confidence back with their cool, menthol flavor. A great thing about mints is that the more you pick them, the better they grow. The better they grow, the more abundant they are. Therefore, you could harvest as much as you desire. 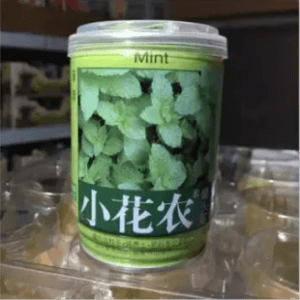 Mint can be grown even in a small pot. Even if you don’t have a large garden in your home, you can grow it in a kitchen or veranda. Mint also can be used in many dishes. 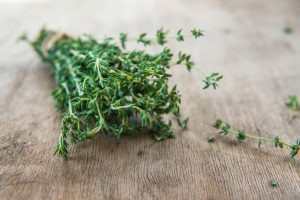 If you love to cook pasta like spaghetti or carbonara, it would be a healthy herb to add. You can even use it to make an herbal tea for your relaxation time. If you’re a fan of the famous sinigang which is a popular Filipino dish that is known for its sourness, you’ll definitely know that radishes are some of the most important ingredients in this meal. 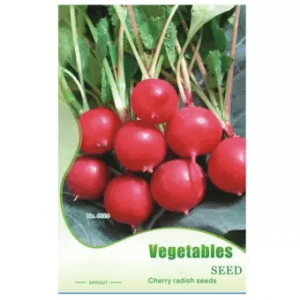 The best thing about cherry radishes is that they could sprout very fast both in pots or in a garden soil, germinating within 7 days only and are harvested once the root of the plant is 1 inch in diameter. If you love cooking traditional Filipino food like ginisang labanos or kilawing labanos, then you may want to plant cherry radishes. 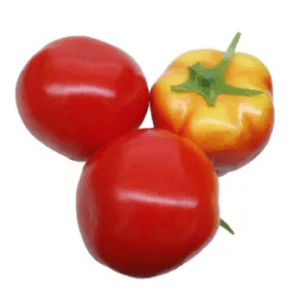 Tomatoes, also known as kamatis in Filipino, are good for so many dishes like salads, sandwiches, pizzas, soup and many Filipino dishes like kaldereta, afritada, and giniling. Even if you harvest tons of tomatoes, you won’t worry about the way of consuming them. It only takes a few days for tomatoes to germinate in pots or in a garden soil. If you read this article from November to February, it is the best season for start growing tomatoes. If you like cooking, tomatoes will be a must plant you should grow. Garlic is a part of daily Filipino life. You could find them in almost every dish from breakfast to dinner time due to its strong nutty flavor. If you’re a parent with many children, adding garlic to their meals could help boost their appetite. Since some varieties of garlic make deep roots, you should grow them on the ground, not in pots. It takes a couple of weeks for them to sprout, which is longer than other vegetables. However, they are strong for heat and cold, so you can grow them easily even if you are new to home gardening. 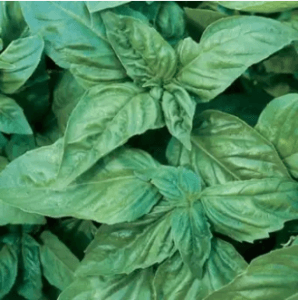 Basil is known to be one of the easiest herbs to grow both indoors and outdoors. It grows very quickly and could yield an abundance of fresh leaves all year round. The seeds begin to sprout within a short period of 5 to 10 days in pots or boxes and become ready to harvest after 75 days. 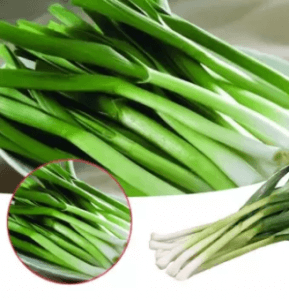 It can be used in various kind of cuisines like salads, pasta, stir-fried chicken, grilled tuna, and even desserts like ice cream and yogurt. It also contains oils and ingredients called flavonoids, which protect your health. If you are going to start home gardening, there is no reason not to include it on your buying list. We all know that fertilizers have one primary goal which is to provide ample nutrients to plants for them to grow strong and healthy. However, we must remember that both organic and inorganic fertilizers consist of various ingredients. The chief advantage of organic fertilizers is that they help to create a progressively healthy soil for the plants in addition to providing nutrients, unlike inorganic fertilizers, which only focus on plant growth. 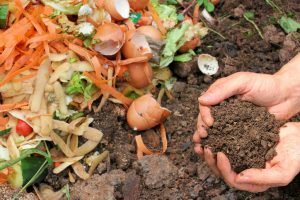 Organic fertilizers consist of crop residues and animal manure that are rich in nutrients like potassium, phosphorus, and enzymes which help to develop the soils’ ability to hold water. You almost have no risk of toxic chemicals like lead, cadmium, and arsenic which are commonly found in inorganic fertilizers. Plant rot is a chronic disease for plants that most gardeners have to deal with when they disregard certain factors. 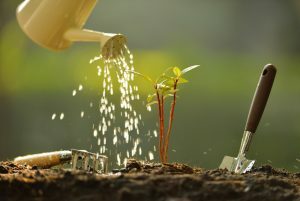 Therefore, to avoid plant rot it’s best to keep in mind the importance of soil quality, insects, and proper care method. 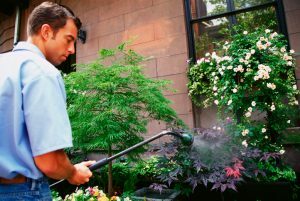 Aside from using organic fertilizer like crushed eggshells, you may also use organic homemade insecticides like neem oil, garlic spray, and natural pepper spray. In the case of root rots, remove the plant from the soil, gently wash the roots using running water, and trim all affected roots with a clean pair of scissors. How was our home garden plant buying guide and ranking? The easiest way to select the right home garden plants for you is to envision the type of meals you would like to prepare and the ambiance you would like to create at home through pleasant visual displays and savoring aroma. I hope this guide has helped you to find the best home garden plants.